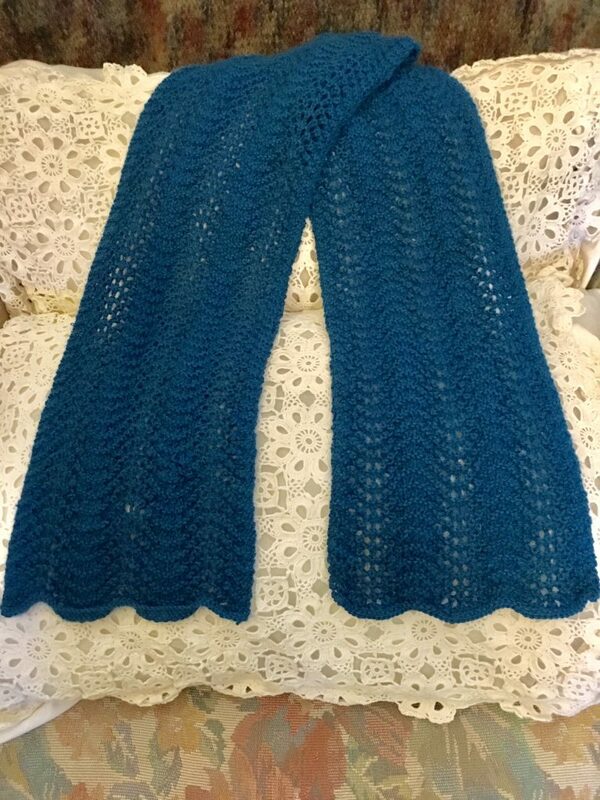 Sue from Bahrs Scrub, Brisbane has knitted this scarf using Alpaca Ultimate’s 4 Ply Peacock yarn. The pattern stitch is Old Shale. Thank you Sue for sharing this with us.